You couldn't spare any of those chips could you??? How cute is that? Adorable pup! We like our parents' chips, too. Oh, yes, Lindy often says she can't hold her head up because she's so hungry. I never believe her, but it sure is hard to resist that expression, isn't it? Today she slept through her supper time, and was quite indignant when she woke up and looked at her dish. "What? No supper?" precious! your narration is spot on! LOL! I bet we all know that look! Precious! Thanks for hosting! What a cutie face and a pretty puppy dog. Cute shot! Thanks for hosting! How can you resist that cute face? How sweet, you gave in right? Awwww...don't you just love those eyes. How sweet. Tag knows your weaknesses...hehe. Lacy would beg the same way. Who could resist such a cute face? It would be impossible to ignore that face! Such a cute dog. Border collies are so loveable! How could you resist that face? I just want to pet it! LOL! What an expressive face! How could anyone resist that look? 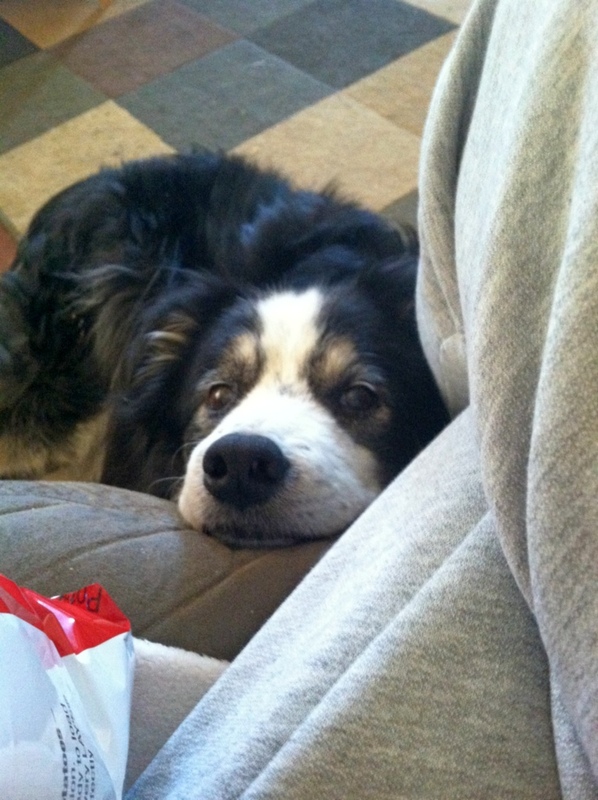 What a cute begging face!